Mazda released this image of the CX-3 ahead of its unveiling at the Los Angeles auto show next month. LONDON -- Mazda will join Europe's fast-expanding subcompact SUV segment next year with the CX-3, a company spokesman said. The new car is based on the firm's subcompact platform, used by the Mazda2, and will be built in Japan, the Europe-based spokesman added. The car will features Mazda's Skyactiv range of efficient fuel-saving engines, the automaker said in a statement without giving further details. The CX-3 will join an increasingly popular European segment that is currently led by the Renault Captur. Renault sold 121,783 units of the small SUV in the first nine months, according to figures from JATO Dynamics. The second-ranked car in the segment was the Peugeot 2008 with sales of more than 100,000 units through three quarters. The Dacia Duster (94,636), Opel/Vauxhall Mokka (90,873) and Nissan Juke (71,954) rounded out the top five during the period. Analysts at IHS Automotive predict Mazda will sell more than 25,000 CX-3s next year with deliveries rising to 30,000 in the car's best sales year. Along with the current leaders, competition in the segment will come from newcomers such as the Fiat 500X, Honda HR-V and Jeep Renegade. Hyundai will launch its competitor for the segment, the ix25, in 2017, Automotive News Europe has learned. IHS expects the market for subcompact SUVs in Europe to reach 1 million by 2020, up from an estimate of more than 500,000 for this year. Mazda currently is one of the fastest growing brands in Europe. Strong demand for the Mazda3 compact and CX-5 compact SUV has helped increase the automaker's nine-month sales 22 percent to 137,471 vehicles, according to industry association ACEA. 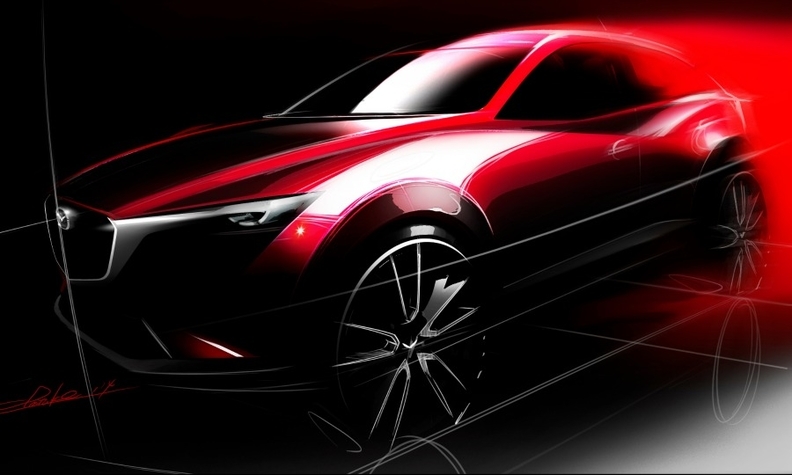 Mazda will unveil the CX-3 at the Los Angeles auto show next month.